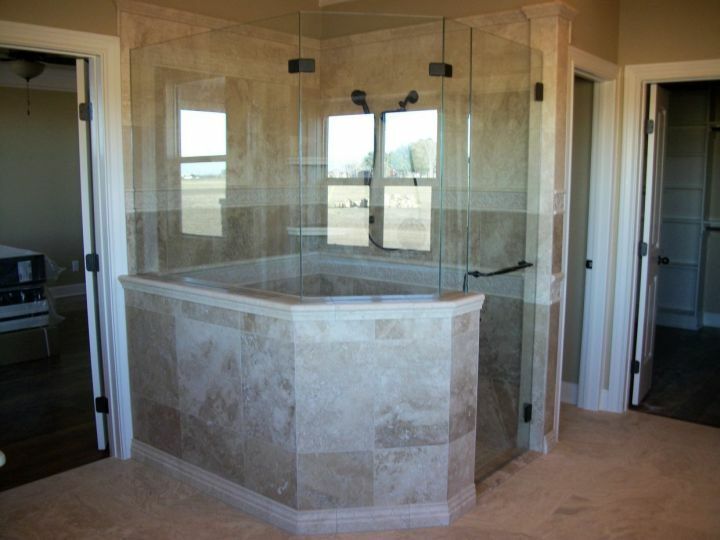 A master bath travertine tile shower with a half wall and frameless glass enclosure. Travertine is a natural stone that comes in a variety of colors, including these cappucinno and noce tile seen here. This shower has a double listello band that encompasses the oil rubbed bronze shower valve. Complimenting this double listello band are two corner shelves with ogee edges. 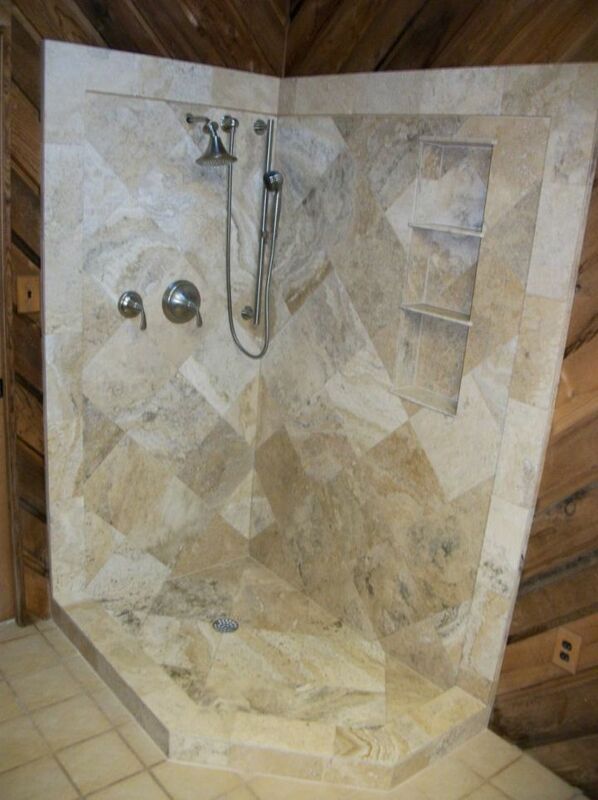 The half wall is bordered on the top with a single ogee edge and the top of the shower has a double ogee edge. It also has a bench with a sloping underneath side and a ogee edge. A glass tile backsplash featuring a multicolored crystallized glass subway tile backsplash. 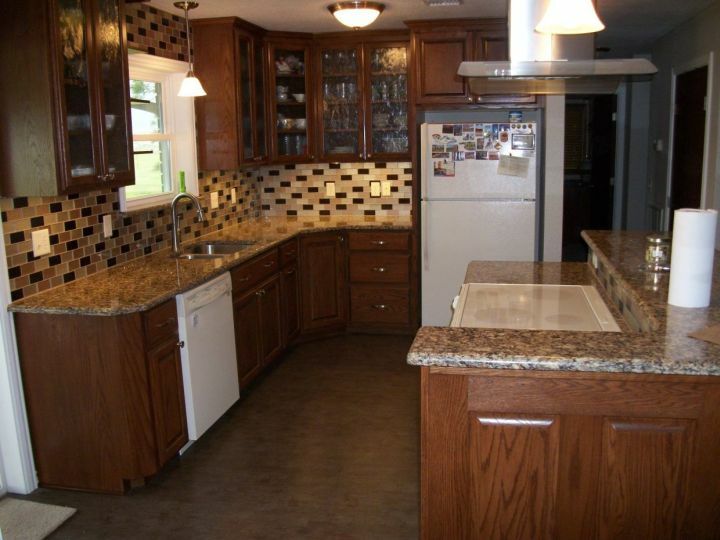 The subway mosaic tile look on a backsplash adds a very nice flare to these stained oak kitchen cabinets. The backsplash comes up and over the window and continuously wraps around the corner. This glass tile is also featured again on the cooktop island between the countertop and the bar top. 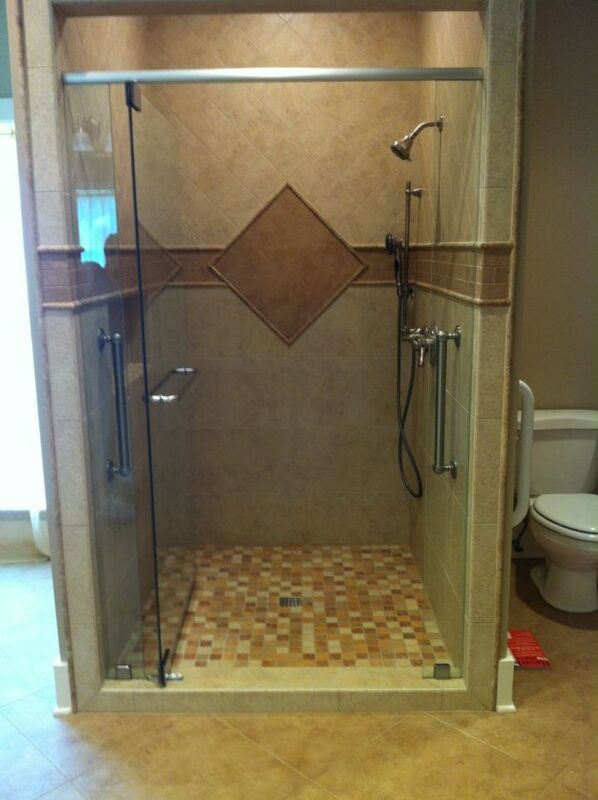 Beige Porcelain Tile Shower with Noce Accent. Larger square tiles on the lower section and smaller diagonal are divided by a darker band of subway mosaic tiles. This mosaic band dies into the single large tile focal point placed on the back wall. To help differentiate the accent and band are bordered by a dome liner tile. This shower also features a diverter valve that can select between the shower head and a hand shower.